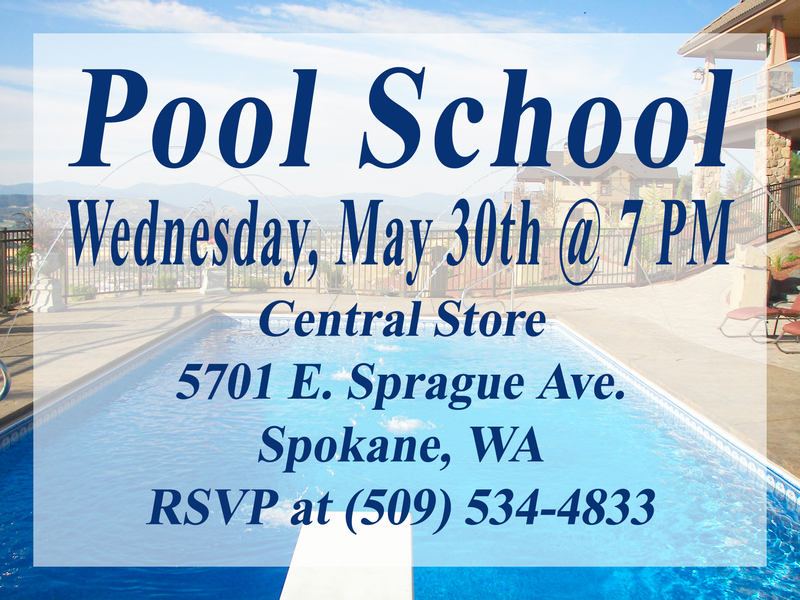 Pool World’s hosting their annual Pool School Seminar on Wednesday May 30th at 7 pm. Our BioGuard District Manager and one of our Store Managers will be teaching the Pool Seminar. The seminar is ideal for every pool owner including a new pool owner to a seasoned pool owner! It is the perfect place to come and ask questions about pool openings, maintenance, filtration, and water chemistry. Pool World holds this class because we believe in teaching our customers how to care for their pool. If and when a problem arises, they will know that we are here to assist them. Our goal is to provide amazing customer service to you, your family, and friends. At every Pool School, we have Customer Appreciation where you will save 10% on all water care purchases following the seminar! Sign up today for the free class. Please call 509 534-4833 with any questions.